Ald. 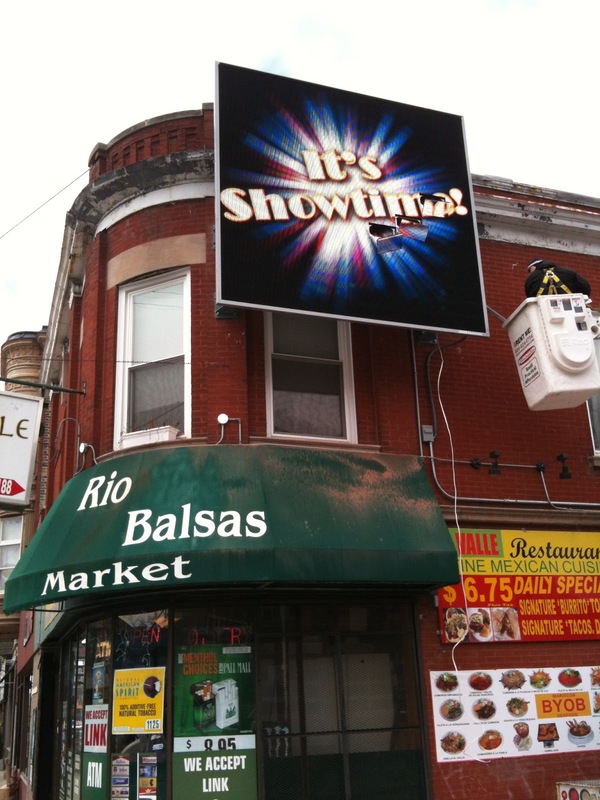 Proco Joe Moreno joined us to discuss the possible lifting of a liquor moratorium on Ashland Avenue. There are about 20 moratoria currently in place in our neighborhood (Grand to Division and Damen to Ashland). Moreno stated that many businesses have approached him asking to lift a moratorium in their location. He would like to lift this Ashland moratorium so that Garden Gourmet Market may sell beer and wine at 1130 N. Ashland Ave. Moreno sees a problem with the current moratorium structure -- it is an all or nothing approach. In this case, a legal document known as a Plan of Operation would run concurrent with the license granted, setting certain restrictions such as types of liquor and hours when they would be sold. With the support of EVA members on this issue, Moreno will commit to not lifting any other moratoria within the above-mentioned area for 2 years, or the remainder of his term. He also agreed that the liquor license must run concurrent with an agreed upon Plan of Operation that will limit liquor sales to a maximum 25% of total sales, and will only allow craft beer and wine sales. Failure to follow the Plan of Operation can result in fines, and ultimately the revocation of the license. For example, the point of sale system will be audited, with the review period being shortened should violations occur. Previous concerns from the community have included worries that other businesses will take advantage of the lifting and apply for liquor licenses as well. Moreno plans to address this by downzoning the few properties in this area that this would apply to before the lifting occurs, so that no liquor stores can be opened. Additionally, people worry that the market will change its business model or that if the current business fails, another business could come in and do whatever they want with the license. Moreno assured the group that this is not possible, as the Plan of Operation carries over to any new owner. Legally, the sale/continuity of the liquor license cannot be prohibited. However, after one year when the moratorium has been put back in place, the license cannot be transferred. In response to the question of why this particular business, Moreno said that to not lift would be the easiest move for his office, but he is committed to local, independent businesses. He has seen a lot of inquiries from big box stores, and wants to support smaller companies. In this case, a collaborative solution includes a lot of protections for the surrounding neighborhood. Historically, a Plan of Operation has been used only after problems already have occurred, which is often too late. Previous aldermen have done restrictive covenants, which are more casual and not necessarily legally enforceable. The owner of Garden Gourmet also attended the meeting and stated that he intends to agree to the Plan of Operation set forth after reviewing it with his attorneys. Maher Farhan characterized his usual business traffic as the after-work crowd (4-8pm). A lot of these customers buy items for dinner that night. A lot of them ask for wine and craft beer to accompany their purchases, and he would like to give his customers what they are asking for. In response to concerns that he would exceed the 25% sales limit in the Plan of Operation, he stated that he would address that by simply controlling his inventory. The owner’s father, also in attendance, has been in the neighborhood since 1980 and has seen it change. He owned a store on Division Street for 27 years, and in all of his time there never lost his license to violations. As a group, EVA knows that this is not a perfect agreement. We would prefer to create a new type of liquor license that would fold in a lot of the solutions. However, the Plan of Operation alleviates a lot of our concerns. It is worth the risk not to spend the majority of our time addressing further liquor issues one at a time over the next two years. To sum it up, the Plan of Operation is enforceable, while the agreement with Moreno is based on trust. Some in attendance raised concern over the inequity of allowing only one business to get this deal in two years. The hope is to get a commitment from Moreno to work with us to institute a legislative solution so that liquor licenses are no longer all or nothing. A motion was made to the membership to support Moreno’s request to lift the Ashland moratorium, with the Plan of Operation, in exchange for an agreement to not lift any moratoria for the next two years. The motion passed with a vote of 22 for, 5 against. While in attendance, Moreno also discussed the closing of the 13th District police station and the next steps at the site. Moreno had formed a working group of five citizens who worked with the community through meetings and surveys to get an idea of what the community desires. Popular suggestions included a dog park, an adult-focused park with amenities such as a track, and a continued police presence. Moreno has now announced an agreement with the Cook County Sheriff to use the building as its Warrant Division. The county was looking to consolidate and the 13th District Station was third on a list of possible new locations, one of the others being the Goldblatt’s Building on West Chicago Avenue, which they decided against. There will be a minimum of 75 officers using the building as a central warrant office. The county has made a commitment to start work in the 1st Ward, and Moreno pointed out there are currently 40,000 outstanding warrants in the city. The hours will be 5am to 2am, and there will be no lock-up facility, meaning no visitors as well. The officers working in the area must act as police if they see or hear of criminal activity, though that is not their primary reason for being in the area. They will not respond to 911 calls. While they are not beat cops, they are a law enforcement presence. Asbestos will be removed and Moreno will work to "green" the building. It looks as though there will be some committed money leftover after this new project is complete. The original money was intended to do a green project if the building was demolished, and Moreno says that money could be used for other neighborhood park projects, such as a Commercial Park expansion. Large electronic billboards have proliferated in the neighborhood recently. At least one on Chicago Avenue falls within the pedestrian designated zone. These signs do not represent the businesses they are attached to, and are designed for people driving by, not for those on foot, so EVA would like to get a restriction to keep them out of areas with a pedestrian designation. EVA is against these signs, whether in a pedestrian zone or not. Owners of businesses on which the billboards are mounted are not pleased either. Local businesses and residents alike agree it destroys the aesthetic character of our community. Apparently, Ald. Scott Waguespack was not notified before a sign went up on Winchester in his ward. These signs hang in the public way, and therefore the aldermen should have a say in the matter. EVA proposes writing a letter of opposition, which would be vetted by the community. Another suggestion from an attendee was to boycott any business or product advertised on the signs, as this is larger than a neighborhood issue and must become a social movement. Board members observed that signs represent short-term revenue for the city but will result in a long-term deficit. Large corporations such as Wal-Mart, Subway and Target are most likely to advertise on the billboards, ultimately taking money away from local businesses. As most of the meeting’s attendees are against these billboards, EVA encourages all to write to their aldermen and the mayor to voice concerns. EVA will draft a letter of opposition to put before the membership. Motion made to elect the existing EVA Board officers to continue for another year as follows: President Neal McKnight, Vice President Peter Locke, Treasurer KK Goh, Secretary Meghan Quinn. All present vote for existing board to continue for another year. Martin Ritter, current Chicago Teachers Union organizer, came to discuss the announcement of the potential closing of Peabody Elementary School. The Board of Education is considering 129 public schools for closure for budget concerns. However, a Pew Charitable Trusts study suggests that closing schools would not fix the deficit. Closings could also have detrimental effects on the community. Peabody teachers Rhea Heggaton and Debbi Ratulowski came to speak about their school, which has been in the neighborhood for generations (116 years). Peabody was 1 of only 100 schools in the nation to receive a grant from Macy's to produce a musical. They have many programs that are not given through CPS but are run through grants and community volunteers, such as Girls on the Run, WITS Tutoring, Junior Achievement and Suzuki Music. They have been a Level 1 school in the past and have been comparable to all of the other neighborhood schools until last year when their test scores dropped. Peabody's closure is based on utilization, which means there are less than 36 children per classroom not including special education students. The teachers said special education comprise 20.6% of Peabody students. There are 263 children attending Peabody, and 573 would be the total if there were 36 kids per classroom. Ritter pointed out that this number violates the Teachers Union contract. The nearest school for kids to relocate to is Otis, which is 0.78 miles away. However, Otis is already considered 'efficient' with 400 students, so if Peabody (and possibly Lozano) close, Otis could become overcrowded. For those who don’t want these closures to occur, keep the conversation going. Ritter suggests going to elected officials, calling the mayor’s office and voicing your concerns as often as you can. You can call Barbara Byrd-Bennett at 773-553-1500 and Board of Education President David Vitale at 773-553-1600. Ritter also suggests talking to neighbors, using social media, and spreading the word. There is also a pro-school rally in Daley Plaza at 4pm March 27. The deadline to release the closure list is March 31, and within 60 days there will be two community meetings, which are important to attend. Overall, Peabody wants input from the community on how they can better serve our neighborhood. For example, they would like to do early autism classes for ages 0-3, parent classes and a farmer’s market on campus. EVA wants a vibrant educational presence in our community and is here to support Peabody and the other schools in our area and beyond. We will be sure to help get out any info brought to us by schools. Meeting commenced 7:05pm, adjourned 8:45pm at Happy Village, 1059 N. Wolcott Ave. Attendance: Board members Neal McKnight, Peter Locke, Meghan Quinn, Gladys Anselmo, Scott Rappe, Stephen Rynkiewicz, Greg Nagel, Tom Tomek.